“Those who are experiencing this crisis” (crisis regarding the identity and purpose of the church in the ‘modern’ age) “tend to divide into two groups. The one group would like to see the church become more modern, involved, contemporary and relevant. Since politics determines man’s destiny, they are demanding the church’s radical political involvement in the vital contemporary problems confronting their country and divided mankind. They look at the church as a political avant-garde on the road to justice and freedom in a world of conflicting interests and struggles for power. For them the ideal church is a moral vanguard of a better world. The other group maintains that a church which is socially-oriented, politically up to date and relevant is bound to lose its proper identity, its Christian proprium. They are at a loss to recognize the church of their fathers; in a church which, for example, considers itself a sociotherapeutic institution. They too are aware that the number of those who still hold to the church is steadily declining. But they do not blame themselves or the church; rather they panic and extol their small number as the remnant of God’s faithful during the final apostasy of mankind at the end of time. They retreat inwards into themselves and other likeminded circles where they can support each other. They make a virtue out of their necessity and change into a sect. Compared with active conformity to the modern world this is nothing but passive conformity. In confrontation with the ‘flood of unbelief’, which they bemoan, their own faith shrinks into little faith. They have lost confidence in him whom they believe. They fight for pope and church or Bible and confession. They want no ‘experiments’, no new experiences, and no dialogue with non-Christians. They are most adamant in their hostility towards those who share with them the experience of threatened identity and have chosen to act otherwise. The ghetto mentality continues to grow. Under the impact of the self-imposed retreat of the orthodox and the self-chosen challenges of the assimilators the self-confidence of the church is falling apart. The question of the church’s purpose elicits a confusing variety of answers depending on the respective needs, but there is no longer a single, clear, and necessary answer. –Jurgen Moltmann “Theology of Joy,” SCM Press, 1973, pg 76-77. I was brought up in a Christian environment that tended towards the Separatist tradition. There is a place for that. During the time of King Ahab and Elijah, 7000 were hidden away to preserve God’s message and work for a time when they can come back out and interact and transform the world around them. The C6 (hidden) Christans in hostile communities have their place… at least as a transitional phenomenon. However, a condition of self-imposed ghettoization should not become a long-standing activity or a virture. Although it may be incorrect to confuse the Church with the Kingdom of God, the two clearly interrelate. The Kingdom of God is to be as live yeast that may seem insignificant at first, but will transform the dough. It is to be as a mustard seed that is forgettable of itself, but is full of life and will grow and become impossible to ignore. The church (and Christians) are to be salt and light in this world. 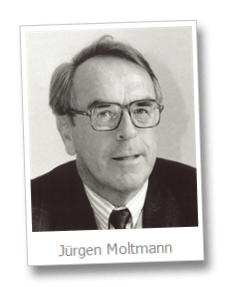 Perhaps Moltmann is correct… churches (and members) that focus on protecting and hiding themselves from the world rather than interacting and changing the world, are guilty of passively conforming to the world they are defending themselves from.